The New York City Council’s Committee on Veterans met Monday to discuss a bill that would require the city’s Department of Veterans Services to release an annual report detailing certain information about its work to help the city’s military veterans, including the number of its employees and types services it is providing. 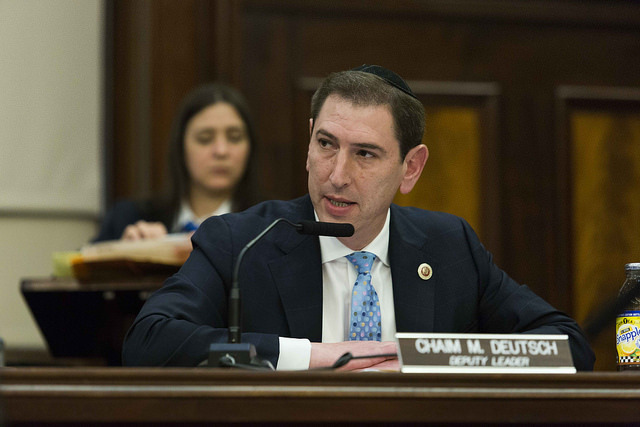 The chair of the committee, Council Member Chaim Deutsch, a Brooklyn Democrat, advocated for the bill, Intro. 1118, as a necessary step toward better understanding of what DVS is doing and what may be needed to improve services for veterans. However, DVS Commissioner Loree Sutton suggested that an additional report would be redundant, as DVS is already required to give a report to the committee under law (Local Law 23 of 2015, introduced by Council Member Paul Vallone, a Queens Democrat) and it also takes part in the Mayor’s Management Report, which gives detailed accounts of city agencies and their effectiveness. The bill would specifically ask for the title of and services provided by each employee, as well as the number of veterans and families to whom services had been provided and how they learned about the services. Most of this information is indeed available elsewhere. The Mayor’s Management Report gives a summary of the services provided by DVS, the number of veterans and their families engaged by DVS and the number of them given assistance. When it comes to DVS employees and their titles, those can be found on the department’s website. However, this leaves questions concerning how the veterans and their families learned about services provided by the department and what services each employee specifically provides unanswered. While Sutton believes any additional information should simply be added to the current required report, Deutsch said the bill is an important step forward. After discussion between Deutsch and Sutton, the committee allowed advocates to voice their views. President and Founding Director of NYC Veterans Alliance Kristen Rouse said the bill does not require enough reporting on the part of DVS. Senior Veteran Transition Manager of the Iraq and Afghanistan Veterans of America Vadim Panasyuk noted the redundancy of the bill Sutton alluded to earlier, suggesting that different metrics should be used to better evaluate DVS. Panasyuk would like to see more qualitative data used in conjunction with “organizational and programmatic” metrics in order to better understand the population being served by DVS and the needs of that population. Another adjustment to the bill was suggested by Vallone, who said it was “critical” that they incorporate a requirement for DVS to distinguish in reports which veterans found them through sister agencies and which came directly to them. Ashton Stewart, coordinator with SAGE Vets Program, an LGBT veterans advocacy group, also requested a more detailed report. “This bill is just a start of the reporting, we need to start from somewhere,” Deutsch said. Earlier in the hearing, other topics were discussed as part of oversight by the committee. 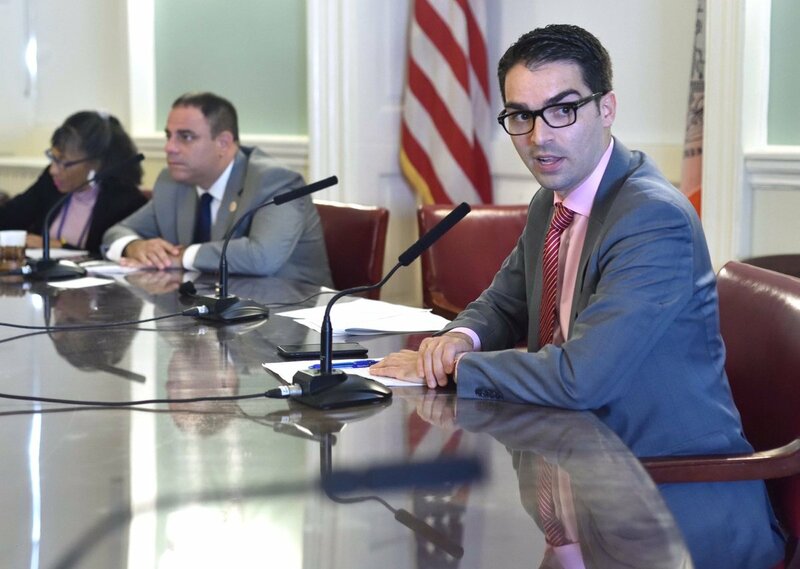 Deutsch expressed concern over a decrease in applications for and awards of vending licenses to veterans, and inquired about why significantly more veterans where using federal housing vouchers in the Bronx than any other borough. Sutton commented on the delay of federal GI Bill housing allowances for student veterans, noting that DVS would collaborate with the Department of Social Services to attempt to allocate resources towards supporting students negatively affected by the delays. 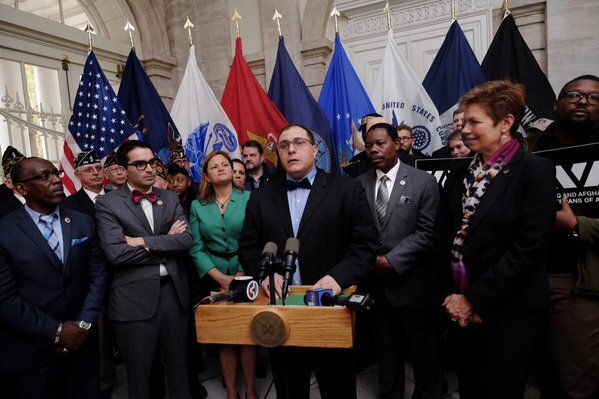 In early 2014, City Council Member Eric Ulrich was appointed chair the veterans committee by Speaker Melissa Mark-Viverito. At that time I wrote that no one within the veterans community knew what to expect, and as one of a few Republicans in a largely Democratic City Council, there were some who opposed Ulrich’s selection. Fast forward nearly four years and the majority of the veterans community agrees that without his leadership and guidance, there would not have been a renewed conversation and there certainly wouldn’t have been many legislative accomplishments, particularly the creation of the Department of Veterans’ Services (DVS). 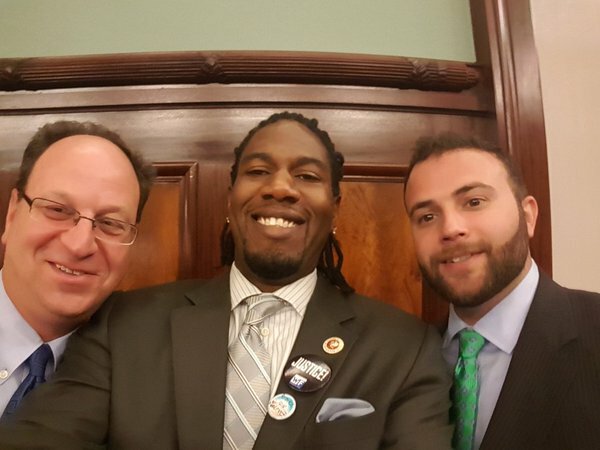 I dare say that Ulrich’s record of accomplishments, along with Council Member Paul Vallone and the other veterans committee members, has been the greatest within the Council since I started as an advocate back in 1995. With the general election coming next month and the race for the next Speaker already hot, there are some who believe that if re-elected, Ulrich may be moved to chair a new committee by the next Speaker. There are many moving part to this equation, but given the final three months of this Council’s term are upon us, there is some important veterans business to take care of. The veterans committee held a hearing earlier this week, and with that and the ticking clock in mind, there are several topics the committee should consider holding hearings on over the coming months. Department of Veterans’ Services: This week the veterans committee held an oversight hearing on DVS. This hearing focused on the growth and accomplishments of the agency since it came online in April 2016. 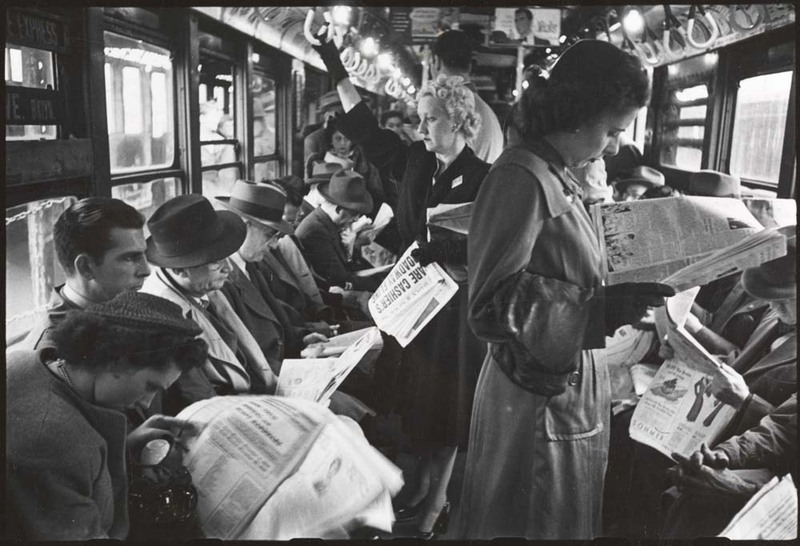 Overall, many agree that there have been a number of successes, but growing pains and confounding issues as well. While DVS leadership touted the department’s work and successes, particularly with its integrative health model (VetsThriveNYC), its work regarding housing homeless veterans, its Public Artist in Resident program, and its information and technology, many items remain. 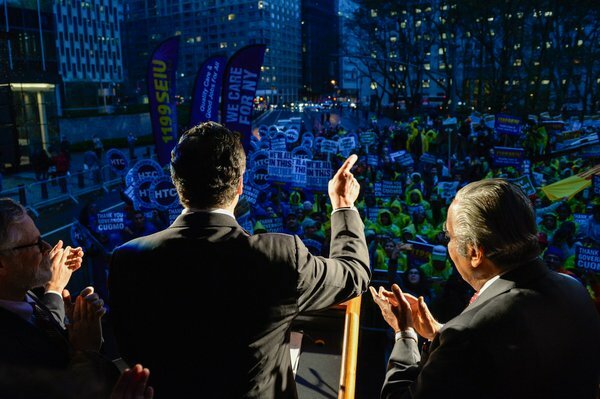 Procurement of its VetsConnectNYC program, an online platform that will connect veterans with service providers, is still being negotiated. Veterans are concerned about information missing on DVS’ website, its lack of inclusion in the Mayor’s Management Report (MMR), which DVS reps acknowledged will be in the next report, and the functions and actual outreach of the Community Outreach Specialists. Lastly, many veteran organizations receiving money from the City through the Department of Youth and Community Development (DYCD) have stated that DVS needs to have autonomous control over contracts to speed up the contracting processing and disbursement of funds, particularly for those veteran organizations that have unique contracting situations. This issue should be considered for a separate hearing with the Council’s finance committee. Veteran Treatment Courts: Almost two years ago the committee held a hearing regarding Veteran Treatment Courts throughout the city; as well as Council Member Rory Lancman’s proposed legislation calling for the creation of a Veterans Legal Task Force to study veterans’ access to legal services and resources within the city’s criminal justice system. Unfortunately, that bill, Intro. 793, didn’t make it out of committee, however with Congressional Rep. Dan Donovan’s recent announcement of grants for Veteran Treatment Courts; and the Manhattan veterans court up and running, the time is right to revisit this issue to see what the courts are doing, learning, learning from each other, and how they have evolved in helping veterans from all eras. Veteran Homelessness: In 2009 there were roughly 3,700 homeless veterans in New York City. At the end of 2015 the federal government announced that New York City had ended chronic veteran homelessness, meaning veterans homeless for long periods of time or repeatedly. 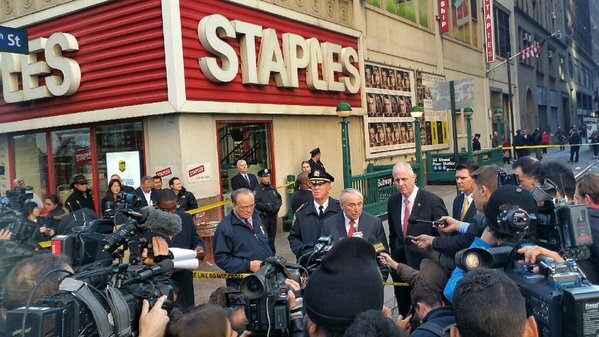 That is a major accomplish that could not have taken place without a coordinated approach from federal, state and city agencies. In November 2015, the Council’s veterans committee, in conjunction with the general welfare committee held a hearing on what the city was doing to provide services to veterans, especially those experiencing homelessness. With the recent announced reductions of SSVF providers last month, along with the city not reaching “functional zero” and the federal VA dropping that goal recently, an update is needed in regards to what the veterans homeless population looks like, where the dity is in maintaining the end of “chronic homelessness” for veterans and what the plans are to address any future changes that may come from the federal government. This hearing also needs to solicit input from non-profits that are working on the ground with this population. Veteran Small Business and Entrepreneurship: Almost three years ago, the veterans committee, along with the small business committee, held a hearing on supporting veteran-owned businesses. This was based on Local Law 144 of 2013, which required the Department of Small Business Services (SBS) to study veteran-owned business enterprises and determine the need for a city veteran-procurement program. In December 2014, SBS, the Mayor’s Office of Contract Services (MOCS), and the then-Mayor’s Office of Veterans Affairs (MOVA) published a report of their findings, which the committees examined at a January 2015 hearing. The report contained seven recommendations, which included increasing outreach to veterans, better training veteran business owners (VBOs) on how to do business with the city, and creating a designation for VBOs who wish to be potential vendors with the city. There was also discussion of supporting the development of a veterans business enterprise program (VEB) through executive fiat (as a pilot program) or by working with the City Council to create legislation for the program. With the rise of veteran entrepreneurs over the last couple of years, there needs to be a hearing to update what has changed and where DVS and SBS are with this issue. Lastly, the committee should also consider follow-up hearings regarding the City University of New York (CUNY); as well as from DVS regarding its new public-private partnership “Veterans on Campus-NYC.” The committee should consider holding a hearing on the overall veterans population in New York City and should hold a hearing in the Bronx, as Council Member Ulrich promised to Council Member Fernando Cabrera earlier this year. This is a fairly hefty agenda and some issues will certainly get left off the table. However, if Council Member Ulrich and the committee members continue to approach veterans’ issues with the diligence they’ve shown over the past three and a half years, they will have a busy and productive next few months, and leave the committee in a much better place for whoever follows. Joe Bello served 11 years in the U.S. Navy/Naval Reserve and has been a veterans advocate in New York City for over two decades. 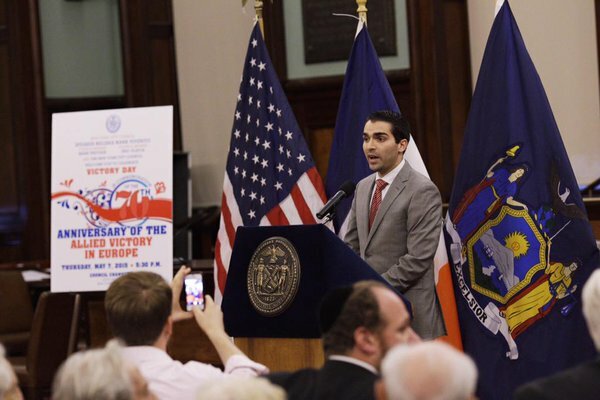 He is a member of the City’s Veterans Advisory Board and the founder of NY MetroVets. 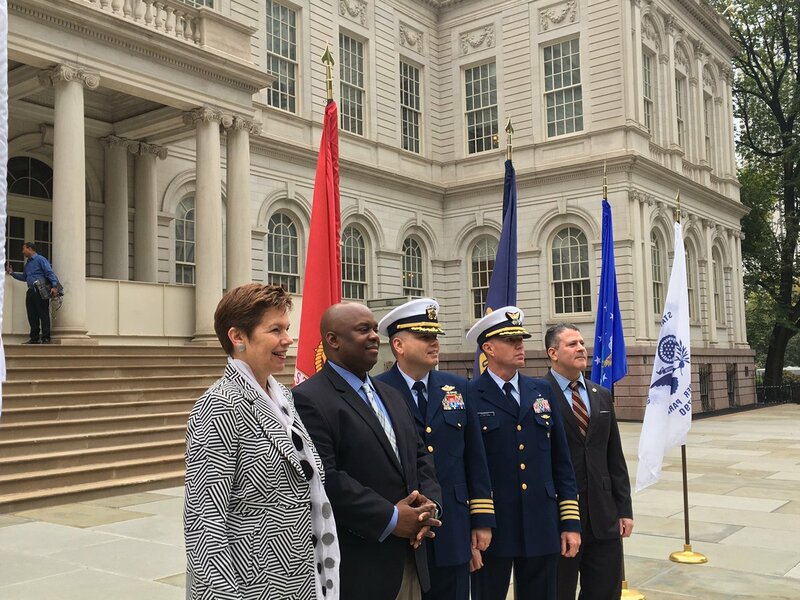 Formerly the Mayor’s Office of Veteran’s Affairs, DVS was established as a stand-alone agency in 2015 to provide more support for the city’s military veteran community. This includes more staff and a bigger budget, as well as more oversight from the Council. 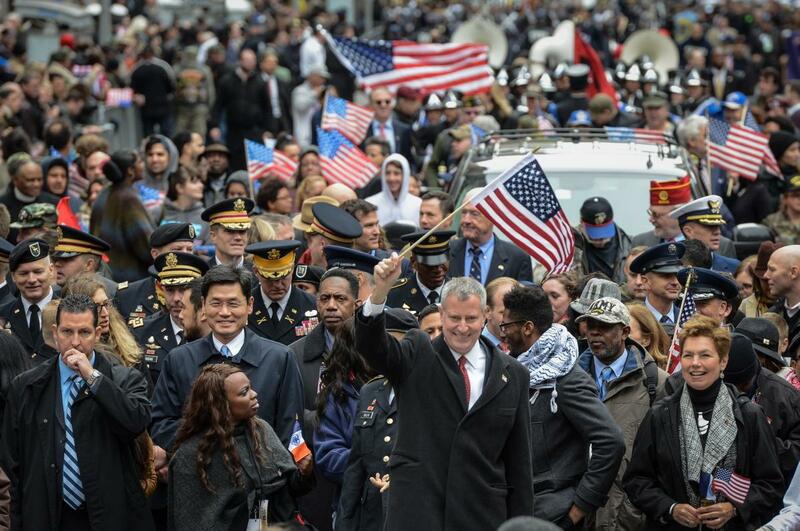 Mayor Bill de Blasio’s $84.67 billion preliminary budget, unveiled January 24, surprised some veterans advocates with its $318,000 funding decrease for DVS from the current fiscal year’s adopted budget. 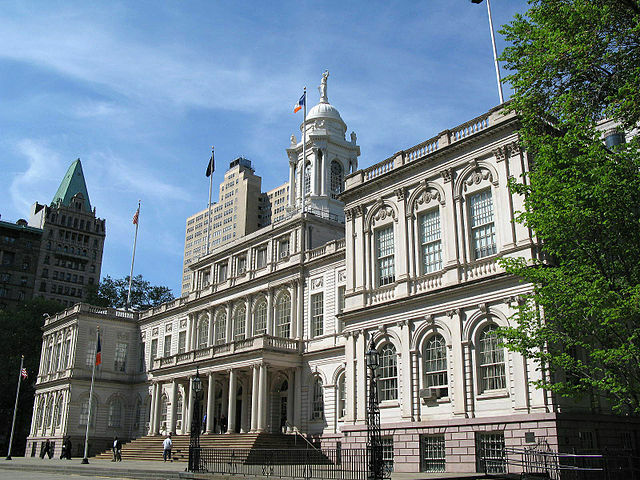 As previously reported by Gotham Gazette, this proposal was initially met with outrage from members of the Council’s veterans committee and other elected officials, who joined veterans advocates to protest the proposed reduction outside City Hall last month. A few days later, the mayor’s office announced it was adding money to the DVS budget for fiscal 2018 to keep one position that had been federally funded and was not slated to be kept and for other services. Thus, outrage was largely absent from Monday’s hearing. Despite DVS receiving $3.84 million in the adopted budget for the current fiscal year, Commissioner Sutton and Council Member Ulrich seemed at peace with the $3.63 million (plus the to-be-seen additions) in proposed funding for DVS in fiscal year 2018. The city's November budget modification had the DVS budget at $3.95 million, but projected $3.63 million for the next fiscal year, and that is what de Blasio wound up budgeting. State and federal funding may also play a role in the next adopted DVS budget, though. Though neither Sutton nor Ulrich called the mayor’s preliminary budget lacking in DVS funding, that position was not unanimous Monday. The committee also heard from the NYC Veterans Alliance, represented by Kristen Rouse, who testified to the need for an increase in DVS funding, arguing that her organization is still overwhelmed with the number of requests it receives from veterans and their families. “I would love for a day when we don’t get phone calls and emails from distressed people saying ‘we need help,’” Rouse said, before officially calling on the administration to increase DVS funding. 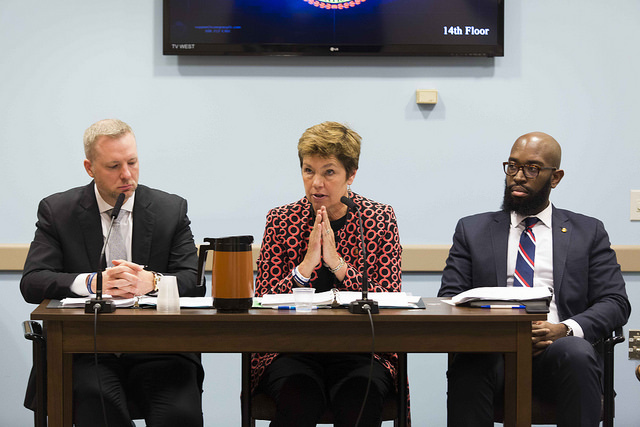 “DVS was created because of the enormity of the need and the urgency of helping veterans and their families in New York City...Funding must go up, not be reduced,” Rouse told the committee. Note: this article has been updated with additional information.